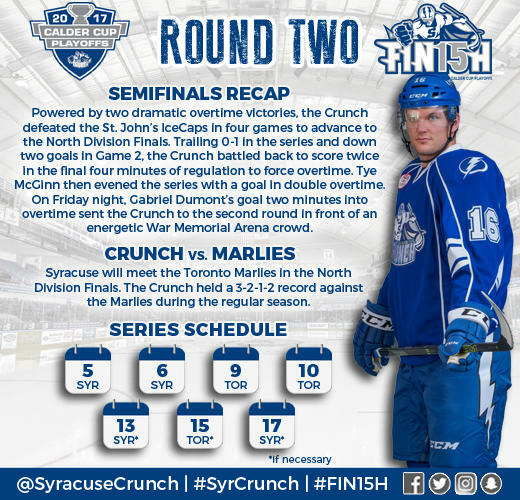 The Syracuse Crunch will be back on the ice this Friday, May 5 at 7 p.m. After defeating the St. John&apos;s IceCaps to advance to the Division Finals, the Crunch will now face the Toronto Marlies. Syracuse&apos;s Erik Condra and Tye McGinn lead the team in playoff scoring with four points apiece, coming off of two goals and two assists each. As we look forward to another exciting round of playoffs we&apos;ve gathered a list of our Top 12 Fan and Team photos from both the regular season and 2017 playoffs. The Crunch need 12 more wins to claim the Calder Cup title. Click below for the Syracuse Crunch Album. 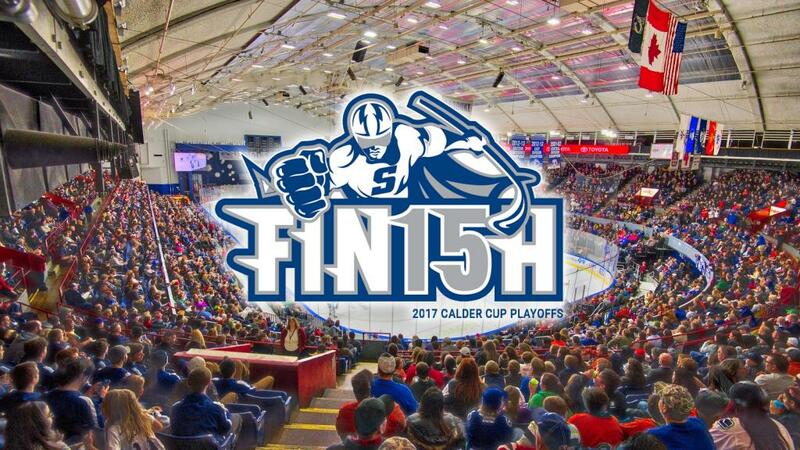 The Crunch will host Games 1 and 2 on Friday, May 5 and Saturday, May 6, respectively. If necessary, Games 5 and 7 will be played in Syracuse on Saturday, May 13 and Wednesday, May 17. Tickets for all home games are available at the War Memorial Arena Box Office or by calling 315-473-4444 x13. Mention Visit Syracuse and receive a special offer for $21 tickets. Click here for more information on discounted tickets.